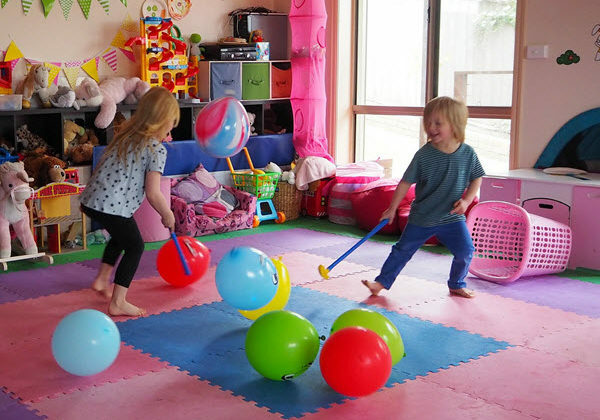 Your kids holidays are ON, and you are planning to play some indoor games with balloons. No idea to what games you would play with them. If yes, you are here at the right place. We are here to give you the best Fun Balloon Games For Kids on the parties. This is one of the wonderful games that most of the kids love to play indoor. For this, you just need a funnel and some colorful balloons. Your kids don’t want toys all the time. They need your attention and your time to play. Buy some colorful balloons and ask your kids to inflate them. Now ask them to bring the funnel from your home kitchen. When things are done, start the game. Throw colorful balloons in the air and ask your kids to catch them in the funnel. They would love catching the balloons. As a mother, your job would be to create a racket for your kids. You can paper plates and stick ice-cream sticks at the back of it. Let it dry for some time. Now use some colorful tape to draw the boundaries of the net created with the help of some cotton cloth. Form two teams and ask both of your kids to stand on each side of the net. Teach your kids how to play badminton using the paper racket. Ask them to hit the balloon as a shuttle and play. Like just the badminton, you can create hockey stick using the left-over roll of the Aluminum foil. 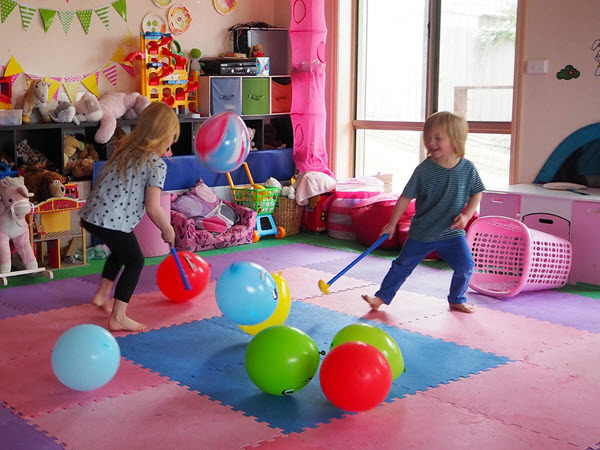 Ask your kids to hit the balloon using the stick and play indoor to have endless fun. This is rather a unique and interesting game that your kids will love to pay. In this Game, you need a coin to toss, balloon, and your kids obviously. Ask one of your kids to crawl in the opposite direction. That means, his or her hands and legs will be on the floors but with stomach facing opposite to the floor. Now give the balloon to your kid and ask him or her to hold the balloon between the knees and move to some point. If he or she can move without dropping the balloon, then the player will win the game. Get some baskets from your kitchen and hang them to some heights of your room. Ask your kids to throw the balloon inside the basket to win the game. This is more of an educational game that will teach them how to play the basketball game. Mothers can teach this game indoors or outdoors. Above are five simple yet effective Indoor game ideas that your kids will love this season. Hopefully, you will try these games with your kids and have an excellent time with them. Your kids will love these games, and your bond with them become stronger.